A lovely filly by Darley Northwood’s exciting first season sire Brazen Beau has topped Book Two of the 2019 Magic Millions Gold Coast Yearling Sale. Offered by Goodwood Farm as Lot 1002, the filly was purchased by Gold Coast-based bloodstock agent Grant Morgan through his Ontrack Thoroughbreds operation for $230,000. 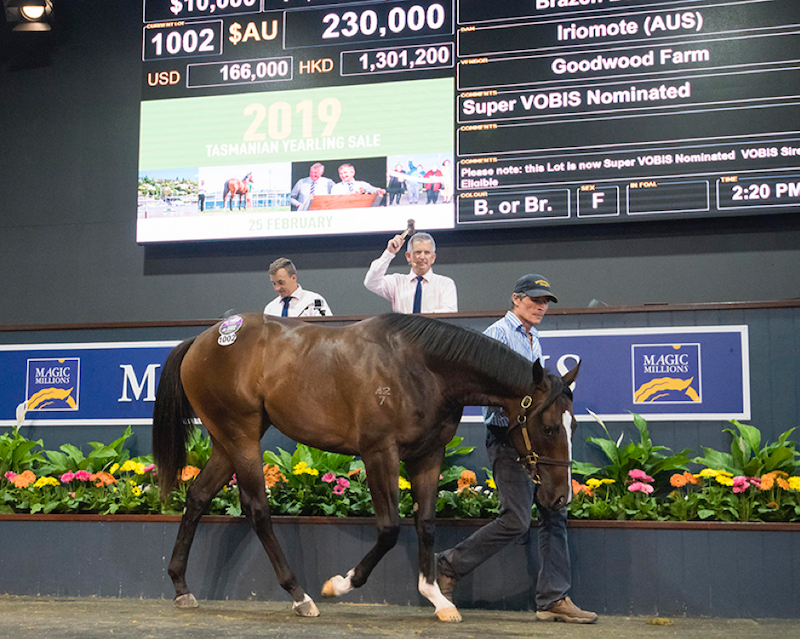 It’s not surprising that Morgan is a big fan of the exciting young stallion as he purchased and syndicated Brazen Beau as a yearling, who went on to an illustrious career under Chris Waller’s management with Group 1 success in the Coolmore Stud Stakes and the Newmarket Handicap. He subsequently ventured to England and finished runner-up in the Group 1 Diamond Jubilee Stakes at Ascot to earn himself a spot on the competitive Darley stallion roster. (Encosta de Lago), a sister to the Group 1 Australian Guineas winner and sire Delago Brom. 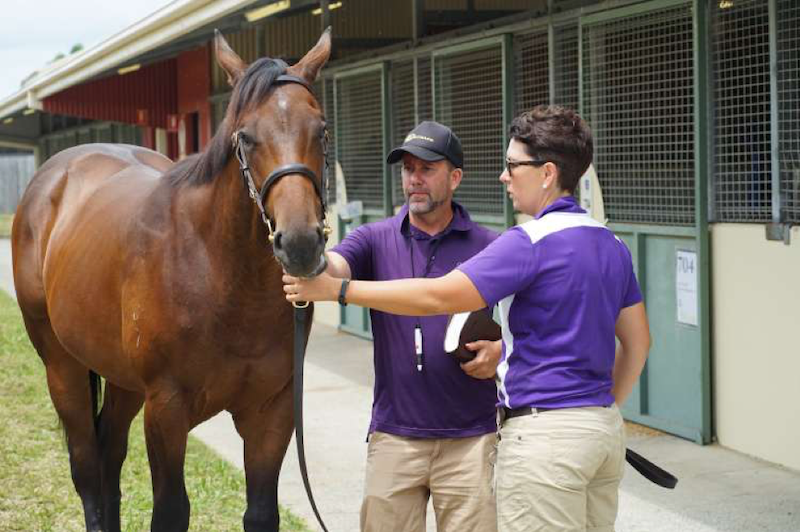 A $40,000 purchase by Jazcom Thoroughbreds at last year’s Magic Millions Gold Coast National Weanling Sale, the Goodwood Farm- consigned filly is bred on the same cross as the current Golden Slipper favourite Tassort. “I formed a group of clients to purchase a horse for leading Gold Coast trainer Toby Edmonds and this is the filly that fitted the bill,” Morgan added. 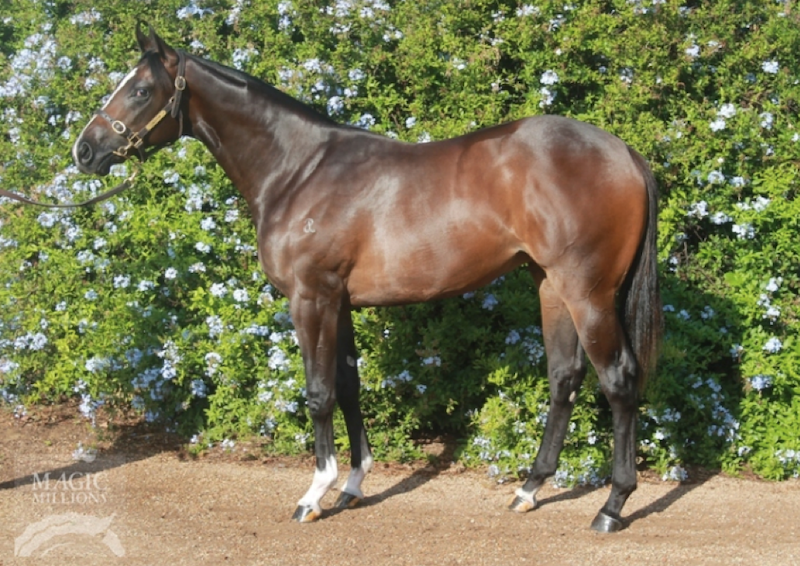 Among six yearling purchases on the Gold Coast, Morgan also paid $220,000 on Thursday for a Brazen Beau half-brother to Group 1 All Aged Stakes winner Tivaci (High Chaparral), who is now on Waikato Stud’s stallion roster in New Zealand. Additionally, Godolphin secured the Brazen Beau offered as Lot 474 for $675,000 during Book 1. This colt was consigned by Amarina Farm and was bred by Victoria’s Dr C Gliddon. The Victorian-based Brazen Beau led the averages for those with three or more sales with $136,667 with Dissident second on $108,333.